We’re excited to announce an expanded feature set for our popular GTN 650/750 touchscreen series, which includes Telligence Voice Command, pinch-to-zoom, an enhanced user interface and additional wireless connectivity solutions. 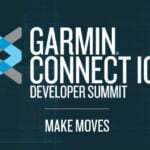 Additional Connext capabilities include Flight Stream 510 integration, which supports wireless Database Concierge between the GTN and the Garmin Pilot app on a mobile device. Flight plan transfer, as well as traffic, weather, GPS information and more also display on select mobile devices when paired with Flight Stream 510. Pilots can also utilize the Garmin Pilot app on Apple mobile devices to send text messages and initiate phone calls. When installed with a separate push-to-command button, Telligence Voice Command can help reduce pilot workload by using automatic speech recognition technology within the GTN and GMA 35/GMA 350 audio panels to perform common tasks. Based on intuitive phraseology, Telligence now accepts hundreds of commands at the push of a button. For example, when on approach to land, pilots can simply state, “Tune Destination Tower” to load the tower frequency into the standby position. While on a cross-country pilots can state, “Tune Nearest Center” to proactively load the closest center frequency that pilots can expect during the next hand-off from ATC. To view a specific page within the GTN at-a-glance, pilots can simply state “Show Flight Plan Page.” In the event ATC asks for distance information from the airport or a particular fix, stating “Show Distance” will display a pop-up box with distance information based on information entered in the flight plan. Alternatively, for a verbal readout of distance information, pilots can state, “Say distance to destination” and the GTN will verbally read out the distance to the destination airport through the audio panel. The GTN 650/750 now features pinch-to-zoom capability on any map, traffic or terrain pages, in addition to the dedicated zoom icons. Much like pinch-to-zoom on a smartphone or tablet, pilots can naturally use two-finger gestures on the GTN to zoom in and zoom out. The new Flight Stream 510 is a small, patented Wi-Fi and Bluetooth-enabled MultiMediaCard that enables wireless Database Concierge and communication between the GTN 650/750 series, select avionics and up to two compatible Apple or Android mobile devices operating Garmin Pilot. Wi-Fi connectivity is specifically for wireless Database Concierge, while Bluetooth enables a wide variety of additional capabilities, including flight plan transfer, the sharing of traffic, weather, GPS and more. Customers can easily incorporate wireless technology into their aircraft with the latest GTN software upgrade and Flight Stream 510 as no wiring changes or complex installation considerations are required. For customers with a G500/G600 glass flight display installed, back-up attitude information also wirelessly displays within a mobile device. Customers with any combination of GTNs or GTNs with G500/G600s receive additional benefits with database synchronization. Once customers complete the wireless database transfer to the GTN, the databases are automatically transferred to the G500/G600 and synced across both systems to ensure database information matches and is up-to-date. Chart streaming also allows pilots to view and utilize departure, approach and arrival charts immediately, even while the charts database is synchronizing between the two systems. Flight Stream improves the experience by adding Database Concierge wireless database transfer, which automates database management between Garmin avionics. Flight Stream 510 wirelessly transfers the following databases to compatible avionics: Jeppesen NavData or the Garmin Navigation Database, Airport Directory, Obstacle, Terrain, SafeTaxi, FliteCharts and Basemap. With Flight Stream 510, customers can pair to an Apple mobile device operating Garmin Pilot to the GTN to access text and voice services enabled by a GSR 56 datalink. While in-flight and on the ground, pilots can quickly send and receive messages with a mobile device using a familiar conversation format and conveniently utilize the phone’s existing contact database. Similarly, customers can initiate phone calls on an Apple mobile device using Garmin Pilot, so it’s easier to complete phone calls over a headset while in flight. The GSR 56 also supports the display of weather on compatible avionics. Tailored specifically to European operators, the GTN series now includes the option to display Visual Reporting Points on the moving map. Often used as reporting points in controlled airspace, pilots can easily reference these points relative to their position on the map so its easy to navigate and help make accurate reports to air traffic control. The new Garmin Navigation Database offers a cost-effective path to incorporate the latest database information within select Garmin avionics throughout a single aircraft for one low price. 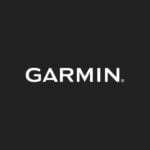 The Garmin Navigation Database coverage encompasses the North America, Central America and Canada. Single navigator bundles for the GTN 650 start at $499, while a variety of new OnePak annual database subscriptions are available starting at $649, which can be downloaded across multiple Garmin avionics and one portable in a single aircraft at no additional cost. In addition to database information, the purchase of a U.S or North America OnePak subscription also provides customers with an annual subscription to Garmin Pilot IFR Premium on Apple or Android mobile devices. To purchase and download new OnePak database subscriptions and to view additional database pricing or coverage information, visit: www.flyGarmin.com. These new features will be available in August from Garmin Authorized Dealers for hundreds of aircraft makes and models. The GTN software upgrade is supported by our award-winning aviation support team, which provides 24/7 worldwide technical and warranty support. For additional information, visit www.garmin.com/aviation.